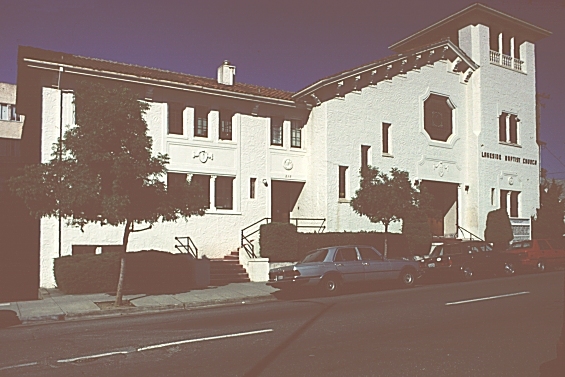 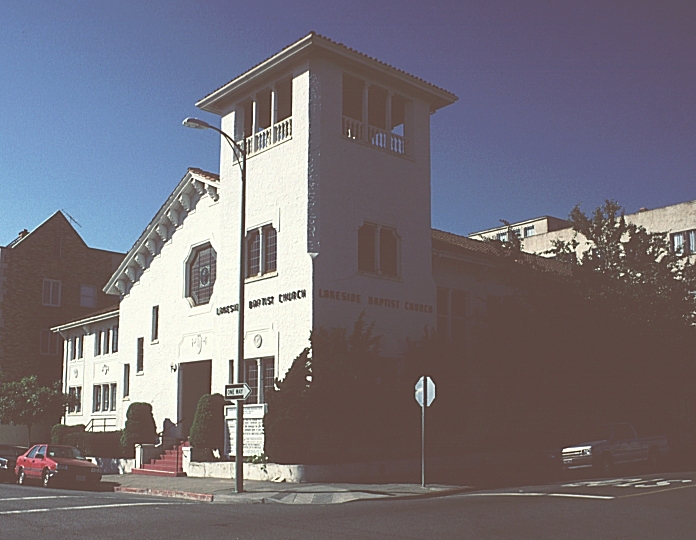 Images of First Swedish Baptist Church, Oakland, California, by Julia Morgan. 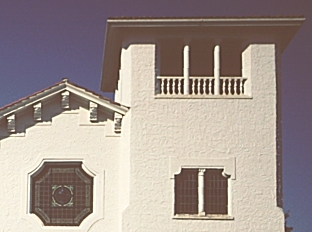 Like many of Morgan's buildings, this church is designed in a loosely Mediterranean style. White walls, Mission tile roofs, and the square tower (common in California missions), recur in her work. 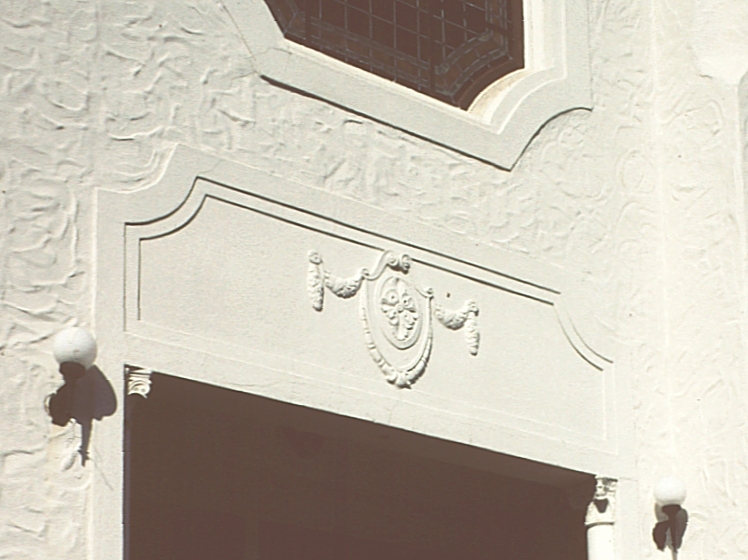 Instead of polychrome tile decoration so common in Morgan's work, here molded relief designs are employed. 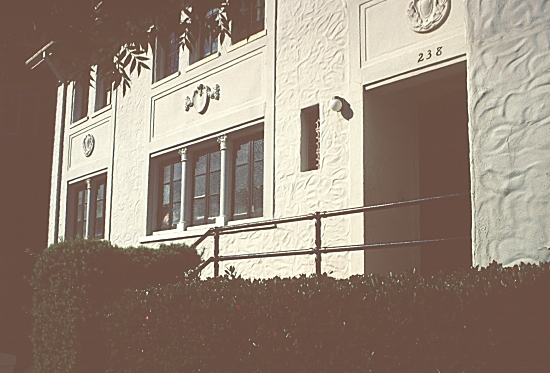 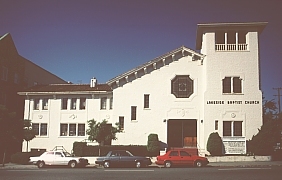 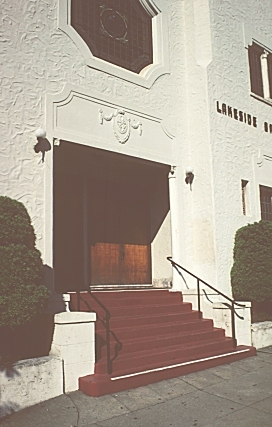 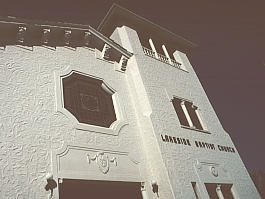 (See also the Katherine Delmar Burke School.) 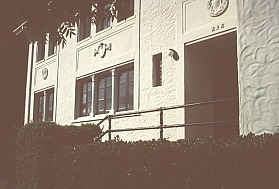 The plain window and door enframements contrast with the textured walls. 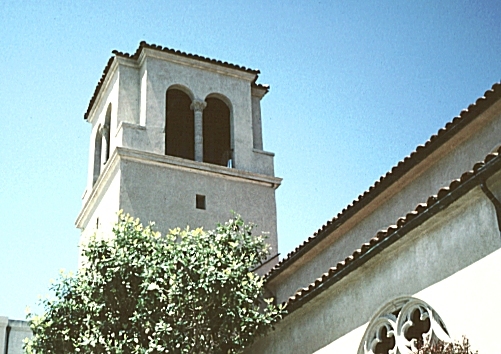 This plain bell tower contrasts strikingly with the more graceful and elegant Romanesque bell tower of the Chapel of the Chimes, designed about this same time.